If you are moving to or visiting a place in Suffolk County on Long Island, you may be thinking you'd like to enjoy the local parks and golf courses. In order to do so, you will need to purchase a Green Key card—this allows access to and reduced fees for Suffolk County parks and activities as well as the local golf courses. 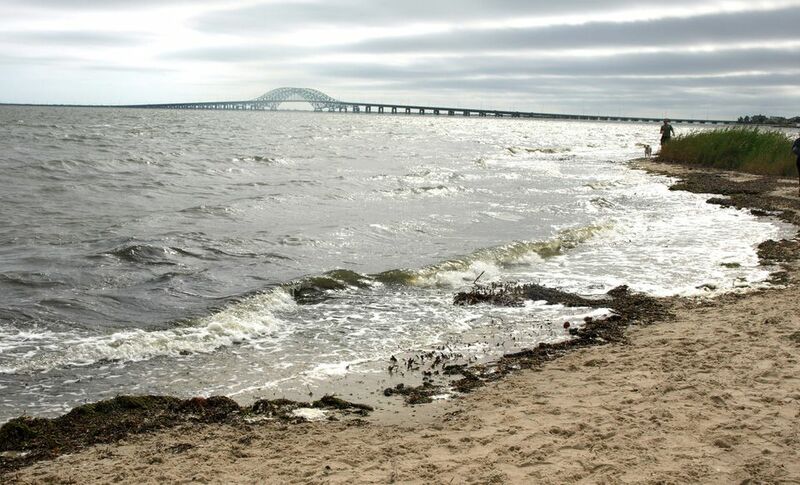 Many of the parks in Suffolk County offer beaches, golf, camping, fishing, sports facilities, playgrounds, and some even feature horseback riding and rowboat rentals. To enjoy these activities you will need a Green Key. You will also be able to access the automated golf and camping reservation system online with a Green Key and get reduced fees for camping, golf, and boat slips. Both residents and non-residents can purchase Green Key cards. Resident cards are valid for three years. Non-residents cards are available for a higher fee than the resident card and are valid for one year. There are two types of non-resident cards: a non-resident Green Key and a non-resident Reservation Green Key. The first offers the same benefits as the resident Green Key card whereas the Reservation Green Key only allows you to access the online reservation system for golf and camping. For a resident Green Key, you must purchase the card in person at one of a number of parks (some offering the cards year-round, others only between Memorial Day and Labor Day). Non-residents can purchase their cards over the phone with a credit card through the Parks Operations Office, open from Monday through Friday from 8:30 a.m. to 4:30 p.m.
To purchase a resident Green Key, you will need to bring two valid forms of ID with you. One proof of ID must be a photo ID with your address, such as a driver's license. A second proof of ID can be a Suffolk County property tax bill, Suffolk County property deed, motor vehicle registration, Suffolk County utility bill, Suffolk County library card, or voter registration card. Green Key cards may be obtained at several parks throughout Suffolk County. Year-round, cards are available at Blydenburgh County Park, Cathedral Pines, Indian Island County Park, Lake Ronkonkoma, Sears Bellows County Park, Smith Point County Park, and West Sayville. In season, you will find the cards at Bergen Point, Cedar Point, Cupsogue Beach County Park, Montauk County Park, Shinnecock East County Park, Southaven County Park, and Timber Point Golf Course. Handicap Green Key (discounted): You must show a New York State parks Access Pass or S.C. Handicapped ID card issued by the Suffolk County Office of Handicapped Services. C.E.R.T. (Community Emergency Response Team) Green Key (discounted): Volunteers must show valid Suffolk County C.E.R.T. team member photo ID card or a letter typed on Department letterhead stating status is active. Auxiliary Police Green Key (discounted): You must show your Auxiliary Police ID at the time of purchase or an official letter stating Active and Auxiliary. Firefighter/EMT Green Key (discounted): You must show your ID card or a letter written on the fire dept./ambulance company's official stationery. Veterans Green Key (discounted): You must show your DD Form 214 (Certificate of Release or Discharge from Active Duty) or a Suffolk County resident veteran ID card issued by the Suffolk County Office of Veteran Affairs. Disabled Veterans Green Key (free): You must bring a V.A.-issued ID card stating a "service connected" disability. Active Military Green Key (free): You must show your military ID card, mobilization and/or deployment orders. This is sold only at the West Sayville Operations Office. Senior Citizen and Junior (discounted): You must show proof of date of birth. Senior is 60+ years and junior is under 17 years of age. Note that you will have to pay a small fee for a replacement Green Key card.